Rhode Island will once again welcome RI Comic Con, “The Biggest Show in the Smallest State,” November 11-13, 2016. The upcoming Comic Con will be the sixth show that Altered Reality Entertainment has brought to Providence, having previously hosted four Comic Cons, this being their fifth, and one TerrorCon. At last year’s Comic Con, the Dunkin’ Donuts Center and the Rhode Island Convention Center opened their doors and welcomed more than 60,000 fans, vendors, artists and celebrities. It was the largest one yet – and there’s still room to grow! 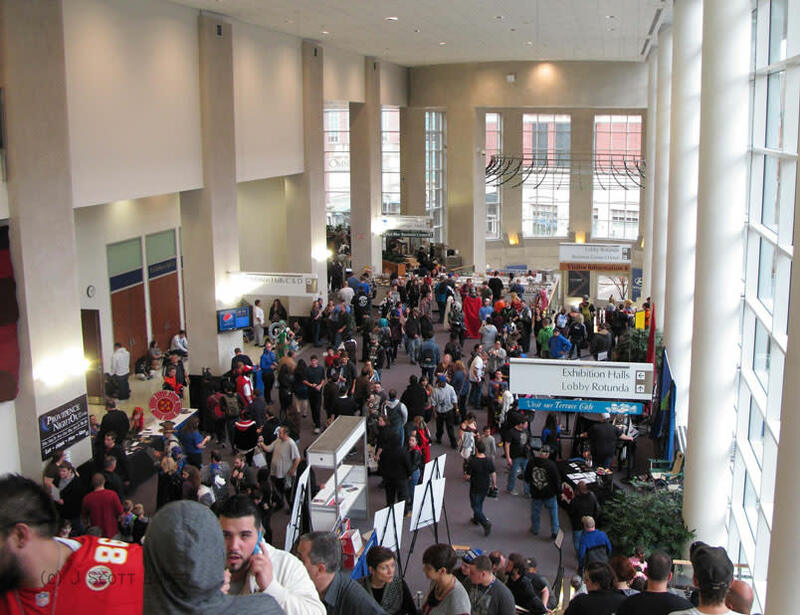 Every fall, RI Comic Con takes over the city for a weekend. It’s not very hard to tell when they’re here, as you will pass an occasional Princess Leia or even possibly the Hulk on the street, and you won’t even think twice about it. As Comic Con continues to grow, so does the economic impact it has on the state. Not only are attendees staying in hotels in Providence, Warwick and the surrounding areas, but they are in our stores and restaurants spending money. For the three days they are here, their estimated direct business sales is more than $3 million! The city is certainly buzzing when RI Comic Con comes into town. For event information visit RIComicCon.com. A native Cranstonian, Amanda Lupino has lived in Rhode Island her whole life. Amanda is a national sales manager for the Providence Warwick Convention & Visitors Bureau where she handles the specialty market, which includes religious, fraternal and non-professional groups. During the summer you can usually find Amanda either on the beach or the golf course.